The Saba package provides a bridge between the convenient model definition language provided in the astropy.modeling package and the powerful fitting capabilities of the Sherpa modeling and fitting package. 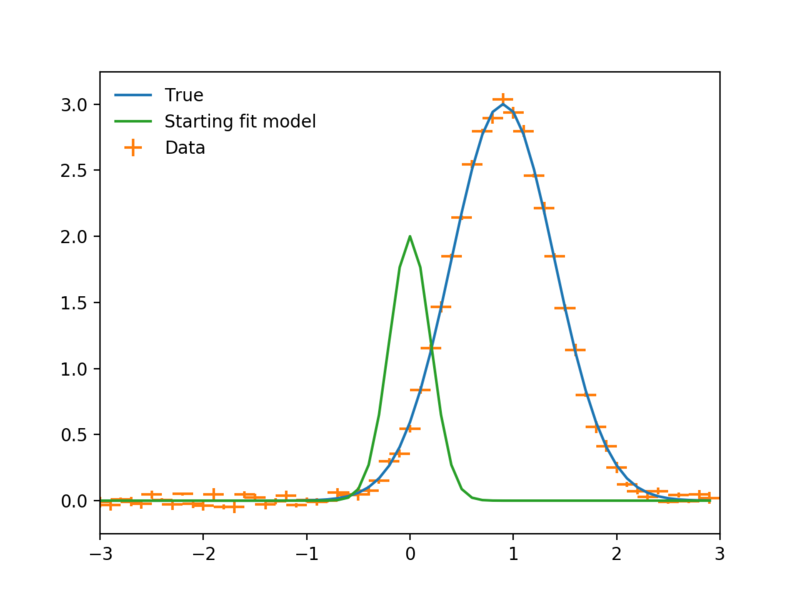 In particular, Sherpa has a selection of robust optimization algorithms coupled with configurable fit statistics. 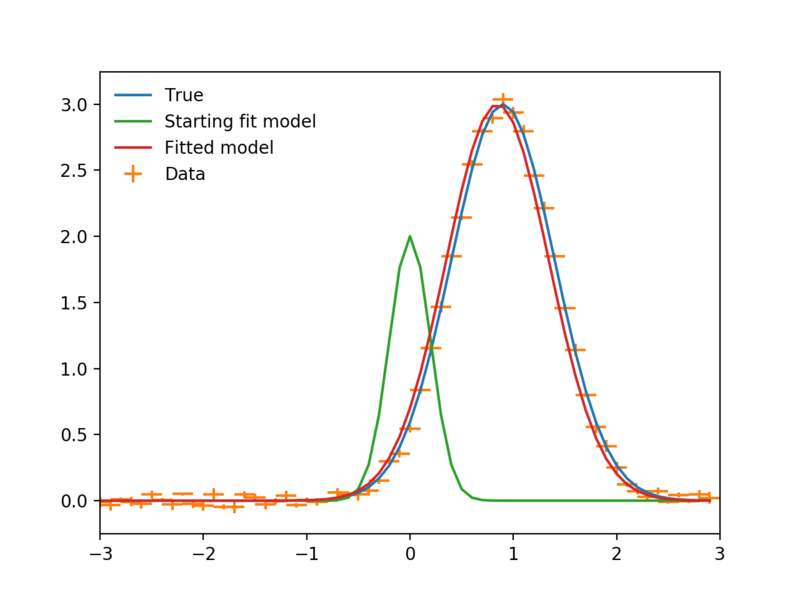 Once the model fit is complete Sherpa has three different ways to estimate parameter confidence intervals, including methods that allow for coupled non-gaussian errors. 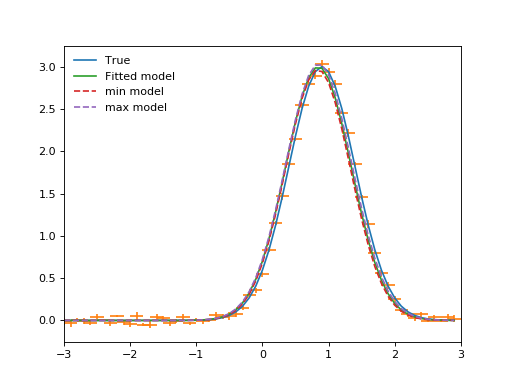 Finally, Sherpa has an MCMC sampler that can be used to generate draws from the probability distribution assuming given priors. Once Saba and Sherpa are installed, the Saba package exposes the above Sherpa functionality within the astropy.modeling.fitting package via a single SherpaFitter class which acts as a fitting backend within astropy. If using the latest version of astropy (development or >= 1.3), a plugin registry system automatically makes the SherpaFitter class available within the astropy.modeling.fitting module without requiring an explicit import. Saba is the Sherpa people’s word for “bridge”. The following installation notes apply to the development version of Saba and assume use of the conda + Anaconda package system. To make use of the entry points plugin registry which automatically makes the SherpaFitter class available within astropy.modeling.fitting install astropy version >= 1.3. Next install Sherpa using the conda sherpa channel. Note that Sherpa currently needs to be installed after astropy on Mac OSX. If you are not already familiar with astropy.modeling, now is a good time to review the introductory documentation there along with the astropy.modeling.fitting module details. To initialize a fitter we provide string values to define the statistic, optimizer and estmethod (error estimation method). The available values for those can be found in the docstring of SherpaFitter and relate to objects within sherpa.stats, sherpa.optmethods and sherpa.estmethods. Now that we have a fitter instance we need something to fit. 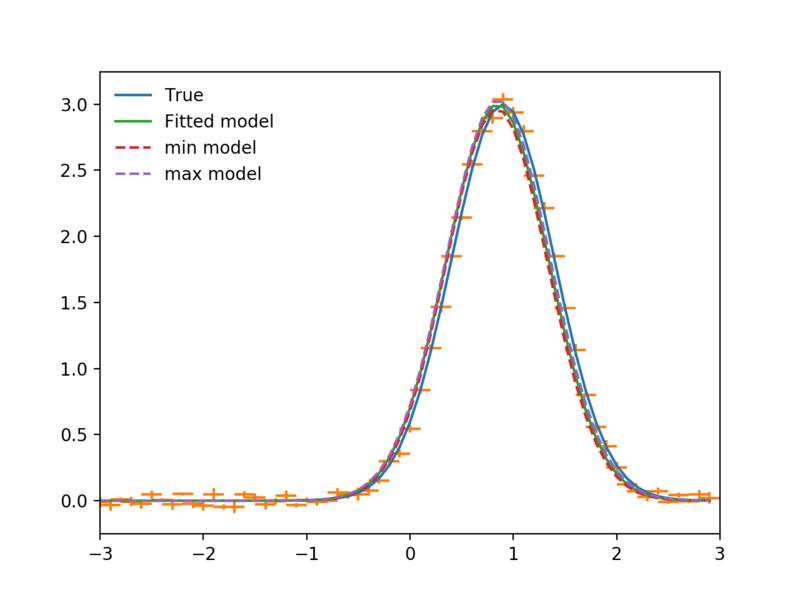 So let’s import an astropy model, specifically Gaussian1D. A full description astropy’s model and capabilities can be found in the astropy Instantiating and Evaluating Models section. We also need some data so let’s make some data with some added noise. Now we have some data let’s fit it and hopefully we get something similar to “True” back. 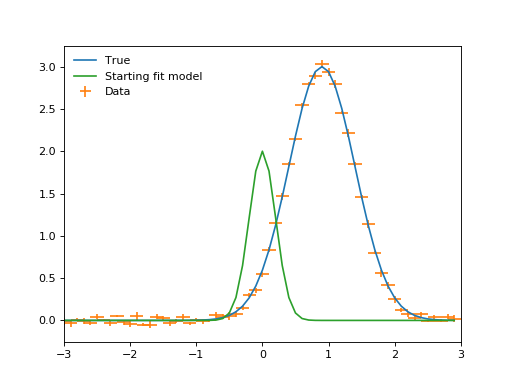 The sfit fitter object has already been initialized (as would be done for other astropy.modeling.fitting fitters) so we just call it with some data and an astropy model and we get the fitted model returned. Once again plotting the data. Note that the fit_info attribute is custom to the SherpaFitter class and provides a direct link to the internal fitting results from the Sherpa fit process. In return we get a tuple of (parameter_name, best_fit_value, lower_value , upper_value). 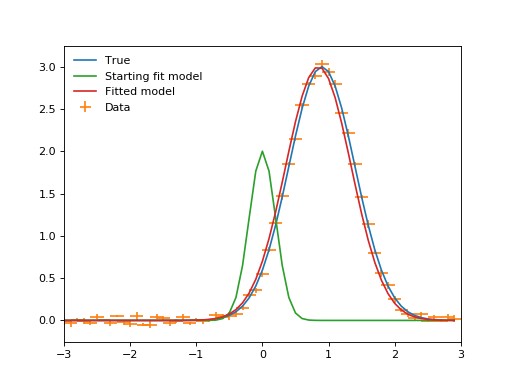 For the sake of plotting them we make models for the upper and lower values, and then output the values while we’re at it. The development of this package was made possible by the generous support of the Google Summer of Code program in 2016 under the OpenAstronomy by Michele Costa with the support and advice of mentors Tom Aldcroft, Omar Laurino, Moritz Guenther, and Doug Burke. Created using Sphinx 1.6.3. Last built 14 Oct 2017.